I have a great education, a great job but can't find a partner - why? We all have dreams in our lives - different dreams of course. 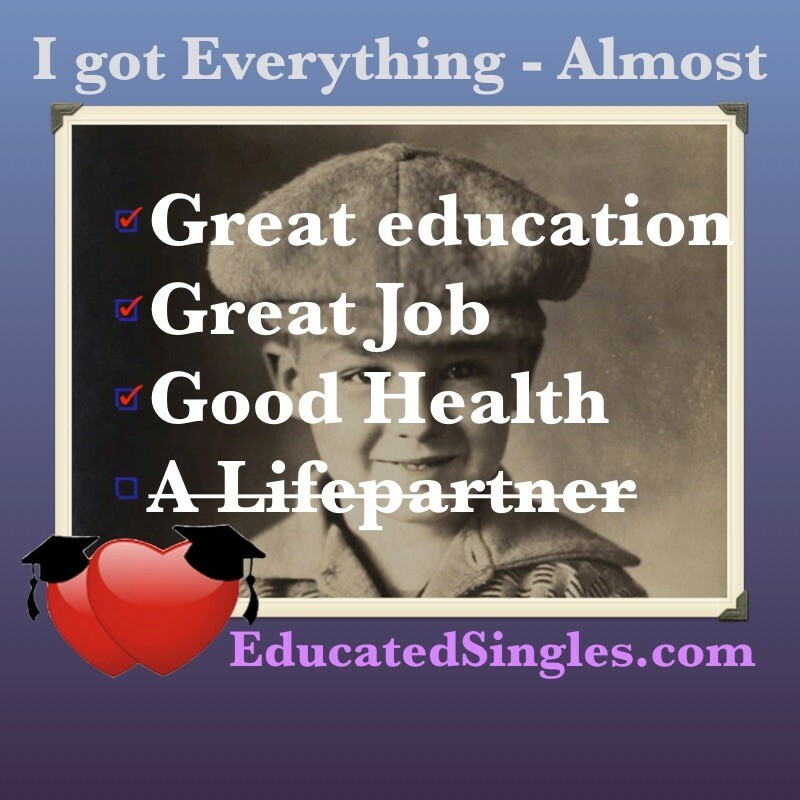 A lot of people are dreaming about getting a great education, a great job and a great life partner. Many of those people usually succeed in getting the first two by working hard. The recipe for fulfilling the third dream is a lot more complex, uncertain and diversified. That is one of the reasons why we believe that there are so many well-educated singles around the world. Educated people know that hard work usually leads to the desired result - except when it comes to relationships. We have interviewed more than 3000 well-educated singles in 8 countries who were interested in finding a partner. I don't have time, I am working too much and don't have much time for social life. I guess I am picky. I want to connect both sexually, emotionally and intellectually. There were no big differences between the respondents in the 8 countries or between men and women. Educated Singles decided to address issue number 2 and 3 from the very beginning. We have a thorough check of all profiles before they are approved and if we have any doubts we will ask for more information in the validation process. We don't have free profiles. This way we can compare the name on the credit card with the name on the profile. Furthermore, it is a guarantee to our members that we don't sell their information to a third party to cover the costs of running Educated Singles because all costs are covered by the membership fees. We should always be suspicious when someone offers us a free service. It always means that you and your information is the product. A lot of members on Educated Singles are perfectly happy with being single, but they love meeting like-minded people for networking, socialising, travelling, education etc. When there is no pressure on the dating part it makes everybody feel more relaxed and open. Educated people have so much to give. They, therefore, have many opportunities for starting groups, discussions or make events in Educated Singles. We will be looking forward to seeing you as a member.